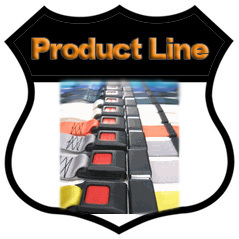 Replacement seatbelts for Classic Cars, Trucks, Vans, SUV's, Jeeps, Street Rods, RV's, Amusement Park Rides, Etc. These belts aren't just limited to the 5-6-7 Chevys. They will fit any year and make. Belts come in different styles and lengths. Buckles come in two styles. 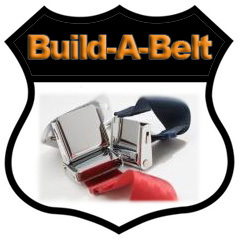 CLICK HERE TO ORDER SEAT BELTS TODAY!! Most all 60", 74", & 96" non-retractable, chrome buckle belts can be shipped same day of order! No extra fee for special orders and they usually ship in a week! 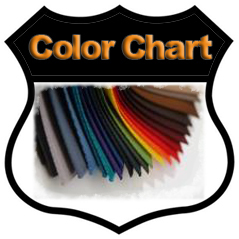 Please examine the product details closely and order color swatches to be sure you are ordering the product and color you need as Special & Custom Orders will require payment in advance and are non-refundable and non-returnable once the order is placed. Production time can be as long as 3-6 weeks. FAQ: Will this seat belt fit in my vehicle? Our seat belts are a universal product and with little or no modification will work in any vehicle. Generally, if you are replacing a seat belt with one of the same style, little or no modification should be necessary. Because our seatbelts are not specific to individual make and model vehicles and are an after market product and because of liability limitations we are not able to offer installation advice and cannot provide compatibility for specific vehicle make and model. 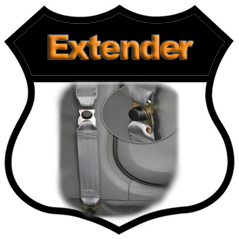 When installing a seat belt into a vehicle that previously did not have them or upgrading a vehicle with a different style seat belt, retrofitting may be required. 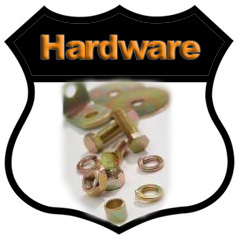 If anchorage points are not present, they must be safely added before installation. All US passenger cars, beginning with 1962 models, have seat belt anchorages for at least two lap belts in the front seat. Since January 1968, vehicle manufacturers have been required to install lap belt anchorages for each front and rear seating position and upper torso belt anchorages at each forward facing outboard seating position. On January 1st. 1972, this same requirement became effective for trucks. In 1986, GM began phasing in 3 point (lap belts with shoulder restraints) for the rear outboard seats of their vehicles and the other major U.S. manufacturers followed suit over the next 3-4 years. Rt 66 Restoration Supplies assumes no responsibility for either proper or improper installation of any products sold on this site. Proper installation is the sole responsibility of the installer. No other warranty is expressed or implied. All Statements, technical advice and recommendations contained herein are based on tests believed to be reliable, but the accuracy thereof is not guaranteed, and the following is made in lieu of all warranties, expressed or implied: seller's and manufacturer's only obligation shall be to replace the quantity of product proved to be defective. Neither seller nor manufacturer shall be liable for any injury, loss or damage, direct or consequential, arising out of the use of or the inability to use the product. Before using, user shall determine the suitability of the product for his intended use, and user assumes all risk and liability whatsoever in connection therewith. No statement or recommendation not contained herein shall have any force or effect unless in an agreement signed by officers of seller and manufacturer.